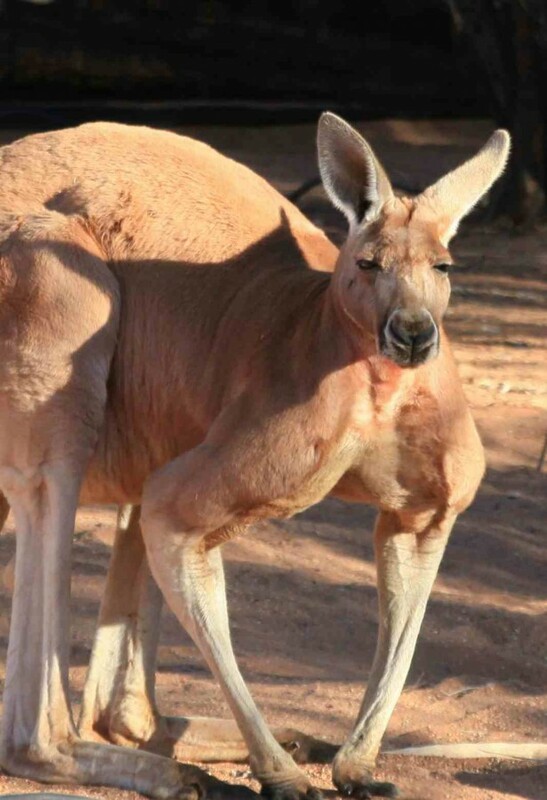 The Red Kangaroo is one of Australias Largest Breeds of Kangaroo. Up close an personal they can be quite intimidating, and if one is angry there is not much you can do. I have seen people climb a tree, run around the tree in circles, and some people turn into a ball to protect their body from being hit; although, you can still get scratched quite badly. Best thing yet, is just not to make one angry in the first place. Seen here, this male has bigger arms than most of the people at the gym.